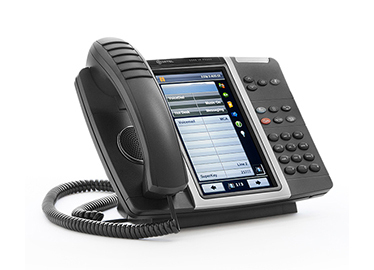 Mitel’s entry-level handsets are cost effective and easy to use. They typically feature interfaces and core features that make them ideal for users with straightforward requirements. 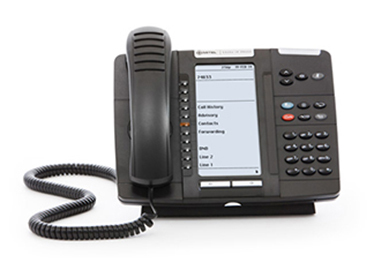 The IP Application phones offer more complex features with more programmable buttons. The mid-range phones will allow access to additional Mitel telephone systems and technologies, such as Intelligent Directory and advanced phonebooks with presence status. Enterprise ready Mitel Handsets often come with touchscreens and can run web applications and perform messaging and social media functions directly from the phone. Have a browse through the handset catalogue below to see which handset might suit your particular business needs. This cost-effective entry level phone allows access to features and applications enabled by Mitel’s IP Communications platforms. 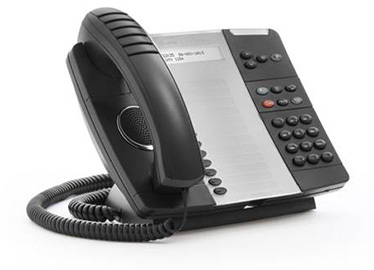 It is a two-line, dual-port IP phone with 20-character backlit display and fully supportive of both SIP and MiNet protocols. It is ideal for areas where usage is limited to a small group only: hotel guest rooms, university dormitories, classrooms or beside a cash register in a retail outlet. 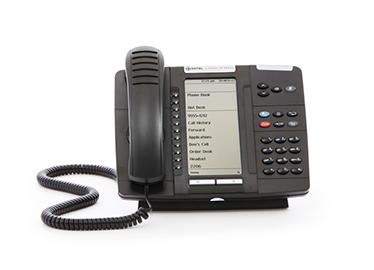 A dual-port, multi-line, display IP speakerphone that provides user-programmable access to the features and applications enabled by Mitel’s IP communications platforms. It comes with a browser based desktop tool for easy access and customisation. Ideal for teleworkers, technical support staff, sales departments and customer service centres. A full-featured entry-level display phone for organisations that need a vast array of applications and services on the desktop. Comes with a large graphical display, gigabit support, and self-labelling keys that are reprogrammable. Fixed function keys also provide one-touch access to commonly used features and soft keys help users to navigate around easily. This IP has embedded gigabit support, a large backlit graphics display, eight self-labelling keys, twelve fixed function keys, and customisable user settings. This dual-mode, dual-port IP Phone is designed for users who need to customise their phone to meet their individual needs, such as managers, professionals and executives, teleworkers, contact centre and help-desk staff. Includes programmable multi-function keys, LED indicators, ACD agent support, and two-line by 20 character wide backlit graphics display. A feature-rich telephone with embedded gigabit support, soft keys, 24 reprogrammable self-labelling keys and twelve fixed function keys that provide one-touch access to commonly used functions, such as speed dial, etc. Optional modules can be added. Supports Mitel Intelligent Directory, Mitel Live Content Suite, and Mitel Unified Communicator® Express (UCX) applications, which provide powerful unified communications features for businesses looking to update their infrastructure. With a generous 48 self-labelling keys that can be programmed as speed dial, line keys or access keys, this phone is a full-featured applications phone with large graphics display and embedded gigabit support. Features thirteen fixed one-touch access keys and customisable user settings, and six contextual softkeys to enhance user experience. Optional modules can be added and add-on applications are available including Mitel Intelligent Directory. Suitable for the enterprise executive, manager, teleworker, and contact centre supervisor this IP phone features a large, high-resolution colour touch display, top grade sound quality and a Gadget Sidebar. The seven inch display gives one-touch access to applications or content that is embedded/ internet based. Easy to use, intuitive design and features 48 programmable self-labelling keys and a built-in HTML toolkit.. 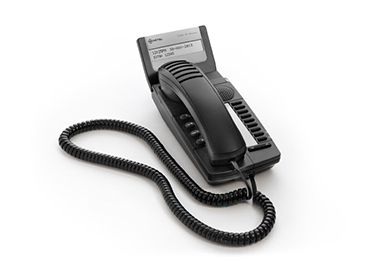 The 5610 DECT phone is an accessory to the MiVoice 5300 series. It’s aimed at giving users the freedom to move away from their desks within their office. 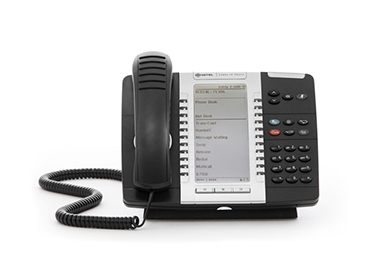 The stand fits into a Mitel IP Phone and can support up to eight DECT handsets. Compatible with MiVoice Business. Cordless handsets, colour display, soft keys, navigation keys, adjustable settings and detailed menu options. 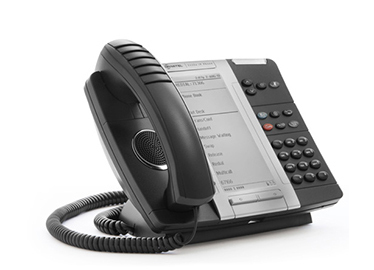 Flexible, good value digital business phone perfect for for small to medium sized businesses. Offers 16 programmable multifunction keys. Part of the MiVoice portfolio, this is ergonomically designed, has 10 fixed function keys, built in speakers and microphone, and can integrate with MiCollab Client. This phone is suitable for heavy phone users in small to medium sized enterprises. Full featured and scalable with 16 programmable multi-function keys, this is intuitive to use and has a broad range of diverse features including soft keys, hard keys, multi-function keys, headset jack, intercom calling, message handling, and a six line, 16 character alphanumeric display.